"If you seek peace...you can make peace...here..."
"...There's a breeze that blows through now and then that says I may never see you again, I lean on my hoe almost desperately..."
"...from the romance that drove her to the stormy bluff, where the ocean itself wouldn't be enough..."
Though her music is labeled as "folk," Canadian artist Kate Fenner appears to me a soulful voice with a maturely feminine touch resembling those of female jazz superstars in the early twentieth century. As a lover of jazz myself, Fenner and her beautiful instrumentally conduced tracks have been added as the top 10 female artists on my personal playlist. What Middle Voice, her new album, gives ultimately is the opportunity to grow in one's skin, to adopt and adapt, to fail and to learn, and to not have to hide from yesterday or tomorrow. Fenner takes you back to a simplier time in regards to music; you get all the raw emotion through the soothing tones of her voice, and the little rasp and soul that occasionally comes through. Fenner seems to be journeying with the words she sings, holding the listener captive and bringing them into her world. There is something so precious about the lack of production and vulnerability evident in her songs; their vibes leave the listener more relaxed and, at the very least, a little more optimistic about life. 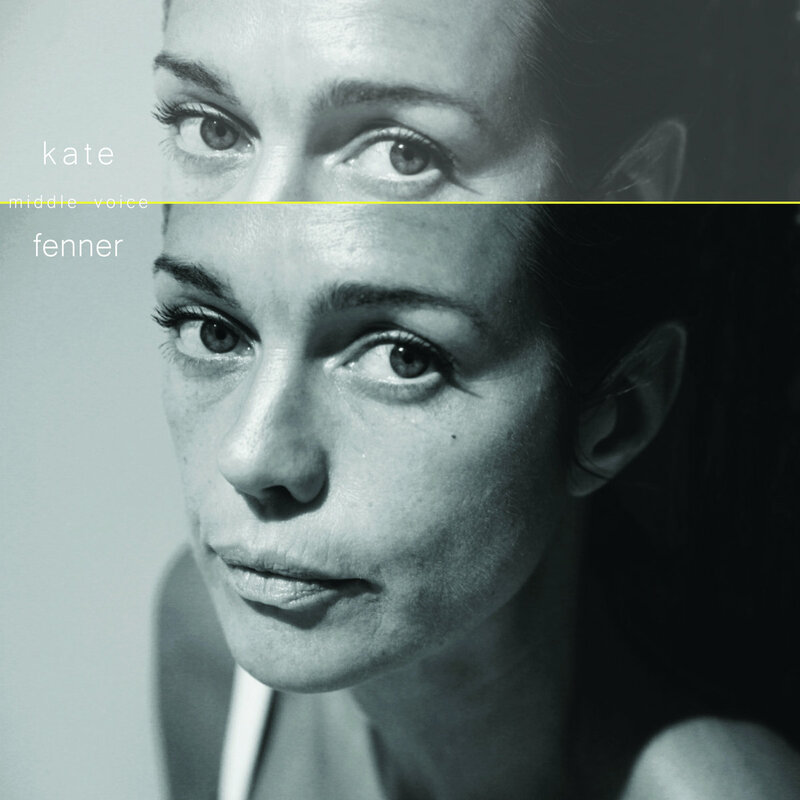 About her: New to us but by no means a new artist, Kate Fenner has toured and recorded for two decades (beginning as a singer in Canada) before raising her family in NYC. The New York Times describes her vocal stylings as having a "lusty, alternative, Joni Mitchell-ish sound". She was one of the primary singers and songwriters for the Canadian alternative rock band Bourbon Tabernacle Choir in the 1980s and 1990s. After its dissolution, Fenner continued performing as a duo with her former Bourbon bandmate Chris Brown. In 2000, she toured and sang with Canadian rock band The Tragically Hip on the "Music @ Work" tour. Fenner released a solo album, Horses and Burning Cars, in 2003, followed by her second solo album, Magnet, produced by Chris Brown. "Middle Voice" is a vital snapshot of a certain period for artist Kate Fenner; the title, aside from being a grammatical term to describe a subject that is both an actor and an acted-upon, both agent and patient, conjures up a voice both in the middle of its life, and in-between feelings about many things: love, purpose, illness, death. A kind of sweet and earned ambivalence towards life and art.